You know that your website is key to successfully marketing your business. Today’s brides and grooms are highly internet savvy and use the web as a key planning tool. Even if they hear about you “offline” at fairs or in a magazine, you can be sure they will be checking your details on your website. Research suggests you only have a few seconds to grab the attention of your visitors and keep them interested. What can you do for your clients. Prospective customers aren’t interested in you – only in what you can do for them. How many websites have you seen that start “Welcome to ……”. That’s several words wasted and one of those precious seconds gone. Develop a short, descriptive strapline that sums up what you do and makes your target customer want to know more. Don’t use “we”, “I” or your business name. Let people know the area you cover. It sounds obvious but I’ve come across many wedding suppliers on-line who forget to include this. If a bride is searching for a florist for a wedding in York, she’s going to type “florist york” into Google. Make sure your contact details are easy to find – you want them to pick up the phone or email you now rather than move onto the next supplier. As well as a sales tool, your website should also help to pre-qualify prospective customers to save you time and energy answering queries from the wrong sort of customer. For this its vital to include some price guidance. You don’t need to show a full price list (though if it’s appropriate, why not). But do give an indication such as “Our wedding packages start from £750”. Nothing sells as well as a great image. This is one area of your website you really should not skimp on. Hire a pro photographer – at the very minimum for your home page pictures (and to use in your printed advertising). 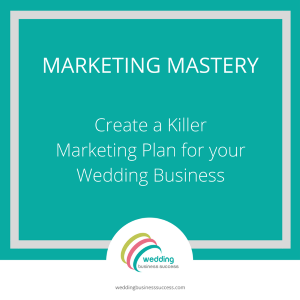 Get that pop-up off your wedding website!